On 27 February 2017, UK Lord Chancellor Truss exercised her statutory power to change the multiplier for calculating damages for the victims of personal injuries from 2.5 percent to -0.75 percent. This caused furious fluttering in the dovecots of the insurance companies and much shouting that it was an unjustifiable change. Though a little confusing, the multiplier is often referred to as the “discount rate”. A neutral rate would be a multiplier equal to the actual number of years of lost income whereas a negative percentage increases the number of years required to produce the same revenue stream. Unquestionably, the change will make a profound difference to the damages awarded for loss of income and the cost of providing for future needs, the two heads of damage that require financial projections, together classified as pecuniary loss. A study of judicial decisions demonstrates the importance of ensuring that as economic data changes, so the courts must have a practicable machinery to reflect those changes lest claimants are over or under compensated. If the actuarial discount rate is not synchronised with current economic data, damages for pecuniary loss will be critically out of kilter with reality. The stark difference can be seen by comparing the outcome if such a change as Truss proposed in the UK were applied to a Hong Kong case of a notional 30-year old male earning HK$180,000 per annum as at the date of trial and rendered unable to work to his pensionable age of 65. Using the Personal Injury Tables for Hong Kong, the current rate of 2.5 percent and its associated multiplier of 23.04 produces HK$4,147,200. By contrast, a discount rate of -0.75 percent would yield a multiplier of 39.21, so producing a total of HK$7,058,700. The objective in both the UK and Hong Kong is to maintain the balance between the real economy and pecuniary loss awards. As proposed below, Hong Kong must introduce a suitably flexible mechanism into its tort law. An important practical consideration is the necessity to create an investment that will produce such a revenue stream yet be accessible from day one to meet existential needs. It is this latter characteristic that makes the typical pension fund wholly inappropriate. Underlying these principles is the fact that the calculations are, necessarily, projections, which insurers like to castigate as mere speculation, forgetting that the entire insurance industry is premised on economic projections. The principal difference is most probably that insurers prefer to have the freedom to set their discount rates on the industry’s in-house figures rather than having them imposed upon them by government. The parallel argument raised against a mechanism that tracks inflation is cost. Can the insurers, and the public who have to pay the premiums, afford to pay for such a system? The answer can be found in Chief Justice McLachlin’s compelling reasoning in the Canadian Supreme Court decision in Bazley v Currie 174 DLR (4th) 45, where it was held that the tortfeasor, having created a risk which results in the injuries, must bear the cost if the risk is realised. The chequered history of the discount rate is remarkably revealing. 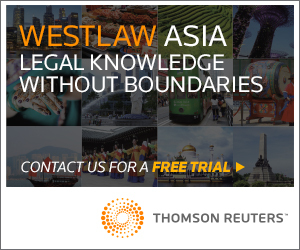 The rate of 4 to 5 percent set in 1979 in Cookson v Knowles  AC 556 remained unchanged for 20 years in the UK and 34 years in Hong Kong, despite the wide fluctuations in both economies over those periods. The UK Parliament recognised the inadequacy of this seemingly inflexible figure and in s. 1 of the UK Damages Act 1996 gave the Lord Chancellor power to set the rate. However, for three more years the UK courts adhered stubbornly to an arbitrary discount rate that bore little relation to reality. Hong Kong courts followed, some might say slavishly, the UK practice. But in Chan Pui Ki v Leung On  2 HKLR 401, Mr. Justice Peter Cheung grasped the compelling merits of linking the rate to the retail price index in an ill-fated attempt to blow away the judicial cobwebs that had led to serious under-compensation of accident victims. Regrettably, a five-man Court of Appeal rubbished the use of actuarial tables. Inasmuch as the court was not referred to the widespread use in the UK of the Ogden Tables to calculate damages, its belief that a 4 to 5 percent rate had quasi-biblical provenance is marginally forgivable. The full effect of admitting financial data into the process also meant that the irrational prohibition on taking inflation into consideration had to go. The judicial analyses in Wells v Wells show how the court settled upon government index linked bonds (“gilts”) as a model financial vehicle which met the criteria for a safe investment, sheltered against inflation yet enabling the victim to draw down on the fund as necessary. 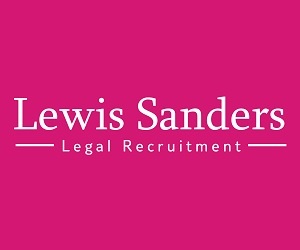 Section 1 of the UK Damages Act 1996’s mechanism for regular review by the Lord Chancellor was essential if frequent recourse to the courts to re-set the discount rate was to be avoided. It empowered the Lord Chancellor from time to time, to set the discount rate for future pecuniary loss. History proved that the vague draftsmanship in “from time to time” left the mechanism blowing idly in political winds. 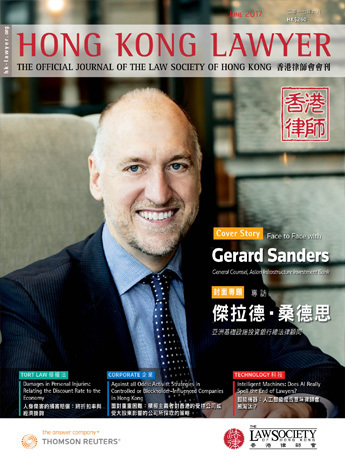 The position in Hong Kong remained in the Cookson v Knowles strait jacket until the meticulously crafted decision of Mr.Justice Barwhaney in Chan Pak Ting v Chan Chi Kuen & Anor  HKEC 202 in February 2013. Taking as a starting point the necessity to take financial information into account, the judge was faced with the critical distinction that Hong Kong had no financial instrument equivalent to UK gilts but he still had to devise a model portfolio that met the criteria for being relatively risk free, inflation sensitive and accessible to be drawn down on during its life. In the course of argument before him, it was submitted that inflation is measured against both the Retail Price Index (“RPI”) and the Retail Wage Index (“RWI”). Thus to fairly reflect economic change, if the indices differed, there should be two separate discount rates, one for the cost of providing future goods and services and the other for loss of income as was done in the Privy Council decision in Simon v Helmot  UKPC 5. Bharwaney J rejected dual rates because the difference between RPI and RWI indices was minimal. Nevertheless, he cleverly leveraged the principle to set different discount rates for plaintiffs with different future needs. Absent a Hong Kong equivalent of gilts, the judge held that depending on the period for which the pecuniary loss was being purchased, different considerations obtained. Thus a claimant with a five year purchase would need ready and regular access to his fund, and because it has a short life it cannot be invested in long or medium term instruments. A mid-range, between five and 10 years had to reflect the balance between risk on return and accessibility; therefore, it requires a different mix in the portfolio but still no equity element. Conversely, those with needs in excess of 10 years could load their portfolio with risk-free long and medium term instruments and need an equity element to provide against inflation. This compartmentalisation of years of dependency on the fund meant that the judge had to construct different hypothetical model portfolios for each category. He recognised that in so doing, the validity of the composition of each model would change in line with the fluctuations in the market. But herein lies the problem. If the discount rate is to satisfy the judicial criteria, the constituent parts of each category of the portfolio will have to be reviewed regularly. This is all the more important because of the need to invest in equities. Thus the three categories were given their respective rates -0.5 percent for less than five years, 1 percent for five to 10 years and 2.5 percent for purchase in excess of 10 years. 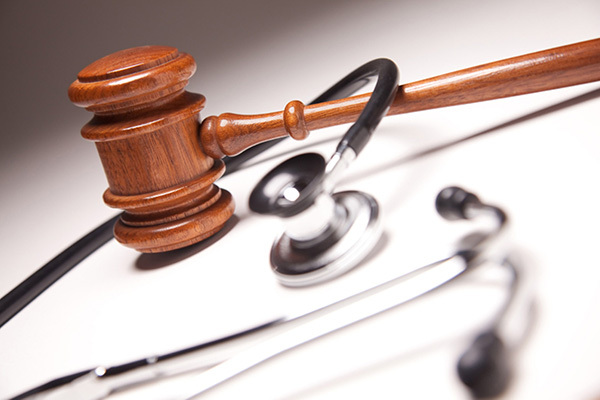 The judge’s solution to future changes in the economy was to suggest that a review could be initiated by the judge in charge of the Personal Injuries List who would select appropriate cases to re-test the validity of the prevailing discount rate. To my knowledge, to date, no such review has been initiated. The suggestion of Professor Chan Wai Sum, the Plaintiff’s expert, was that a Working Party chaired by the Chief Justice and consisting of judges, lawyers, actuaries and economists should review the issue periodically or a Hong Kong equivalent of s. 1 of the UK Damages Act 1996 be put on the statute book. Again, no such Working Party has been set up nor do we have a statutory provision as yet. To be effective, any formalised review body would have to adhere to fixed frequencies. The failure to activate s. 1 of the UK Damages Act 1996 in the UK demonstrates that the process should not be subject to political whimsy or external influence. Lord Chancellor Truss’s decision has re-awakened the question for consideration in Hong Kong. It would be costly and grossly inefficient to have to litigate the matter on a regular basis. Chan Pak Ting not having been appealed, we may safely assume that the governing principles are settled. A Chief Justice’s Working Party mandated to annual reviews would have the benefit of considering (a) the continued viability of the constituents of each of the three categories of years and (b) the ability of the 10 year plus category equity elements in the model portfolio to shelter against inflation. Within the boundaries established by Chan Pak Ting, the Working Party ought to be empowered to amend the models so as to meet the perceived needs that it identified. Just as medical science eradicates diseases only to find them cropping up again in a modified form, unless prompt steps are taken to establish a regular review mechanism, the stasis of Cookson v Knowles could re-appear in a new mutation. The picture would not be complete without mentioning s. 2 of the UK Damages Act 1996, which empowers the courts to order periodic payments instead of a lump sum award but only if both parties agree. 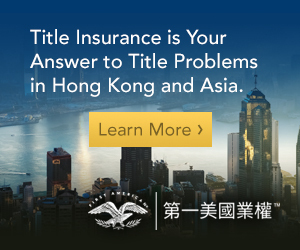 To date, there has been little enthusiasm for this option and, in my experience, it would have very little attraction for most Hong Kong claimants. Quite apart from any cultural or psychological disinclination for such a system, it would always be inherently subject to the long-term financial liquidity of the insurer. By contrast, a Chief Justice’s Working Party composed of representatives of all those with the expertise and the vested interests, is far more likely to achieve a consensual modus operandi. Mr. Sarony is, first and foremost, an advocate who relishes trial work which he likens to a cross between a knight errant and a street fighter both of whom are constrained by the rules and the conventions of courtesy to Court and opponent. Though sometimes pigeon-holed as a P.I. specialist, in fact his practice covers almost the entire spectrum. When not writing, cooking or sailing, he can be found playing jazz piano.